Suncheon in South Korea is a beautiful place to visit and mostly because of the amazing Suncheon Bay. The area consists out of two highlights: Suncheon Bay National Garden and Suncheonman Bay Wetland Reserve. Suncheon Bay Garden was built to create a buffer between the bay and the city. Both locations are located next to each other, so they can easily be visited on the same day. 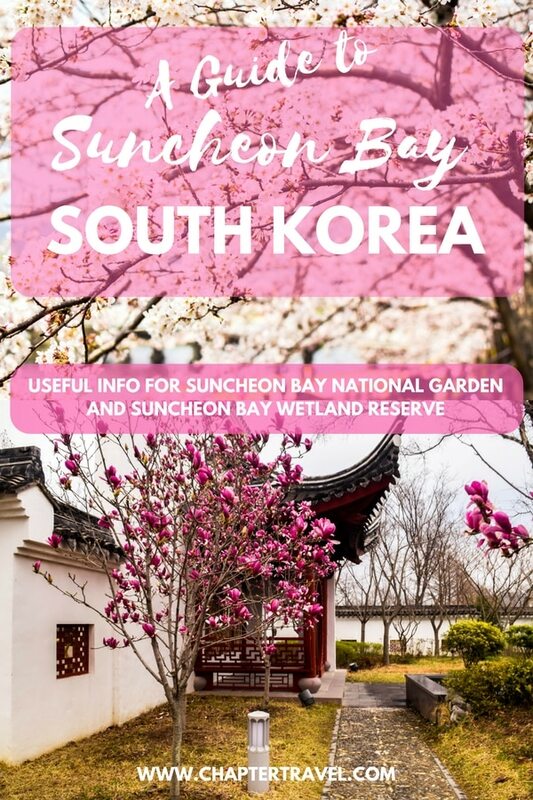 In this post I share how to go to Suncheon Bay from Seoul and other useful information about Suncheon Bay National Garden and Suncheon Bay Wetland Reserve! When we visited South Korea, we were lucky that we had a local friend who showed us around in his country. One of the places he took us to was Suncheon. Suncheon(-si) is a city in the South Jeolla Province in South Korea. 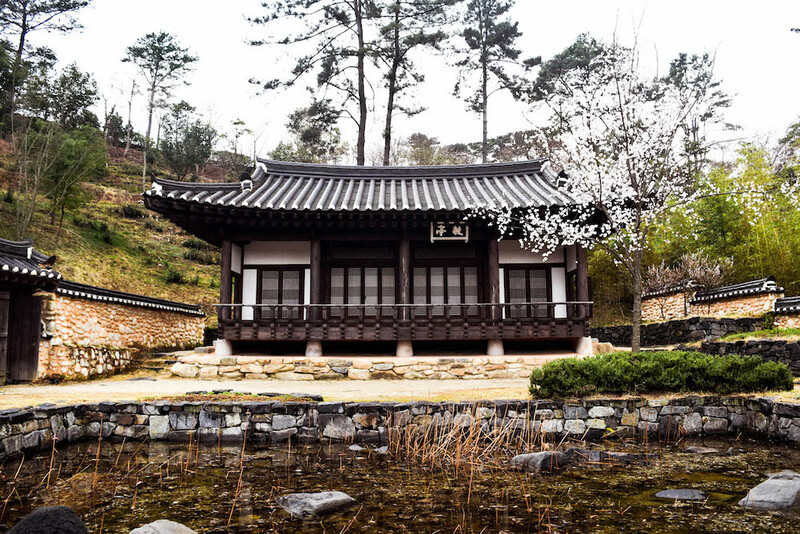 Most travellers only visit Seoul, Jeju Island and Busan, but Suncheon is definitely worth a visit too. Suncheon is emerging as the ecological capital of South Korea. In 2013, Suncheon hosted the International Garden Exposition, which has largely contributed to the rise of the city as the ecological center. The biggest highlights of Suncheon are definitely Suncheon Bay National Garden and Suncheon Bay Wetland Reserve. There is a big chance that you’re going ton Suncheon Bay from Seoul as a day trip. Fortunately, it’s quite easy to get there from Seoul – albeit a bit long. Take the express bus from the Central City Terminal in Seoul (takes four hours) to Suncheon Terminal. There is one bus every 30 minutes. You can also take the KTX train from Yongsan Station to Suncheon Station (takes three hours). Once you arrive at Suncheon Station, you need to get the bus 67, which will take you to Suncheon Bay. If you’re already in Suncheon, you can easily grab a taxi. As it’s a popular tourist attraction in the area, just say Suncheon and they will know! As we were on a budget in Korea, we used the local bus. The same counts for Suncheon! To get here, take bus 66 or 67 to Suncheon Bay bus stop. At this stop you can quickly find Suncheon Bay. The Suncheon Piano Motel is just two kilometers away from the Suncheon Bay National Garden and just a short walk away from Suncheon KTX Station. So the location is definitely perfect! The hotel is quite new, clean and has spacious rooms. 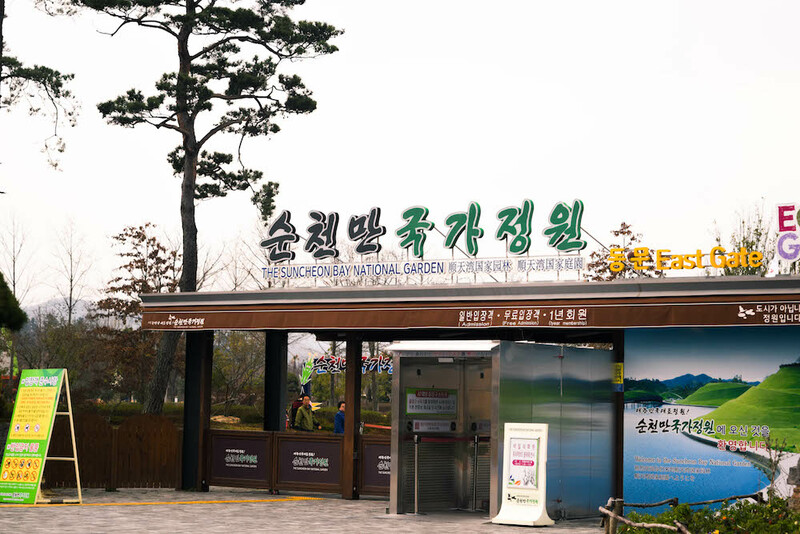 The main purpose of the Suncheon Bay International Garden Expo in 2013 was to preserve Suncheon Bay and its natural habitat and turn it into a conservation area. The artificial garden is therefore also named the ‘eco belt’ of Suncheon. 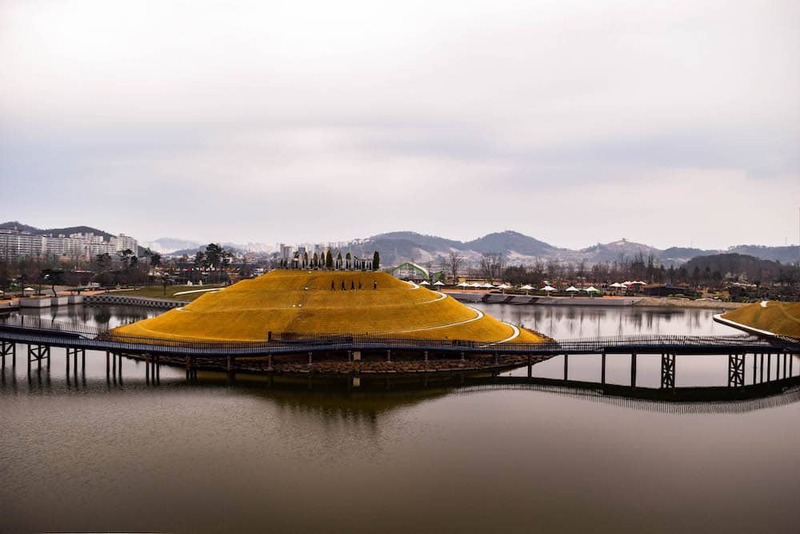 Suncheon Bay National Garden showcases over 500 species of trees and 100 species of flowers. It’s an incredibly beautiful area that is really worth a visit if you’re a nature lover. There are four zones at Suncheon Bay Garden: the arboretum, wetland, world garden and wetland zones. The world garden showcases every type of garden in the world. 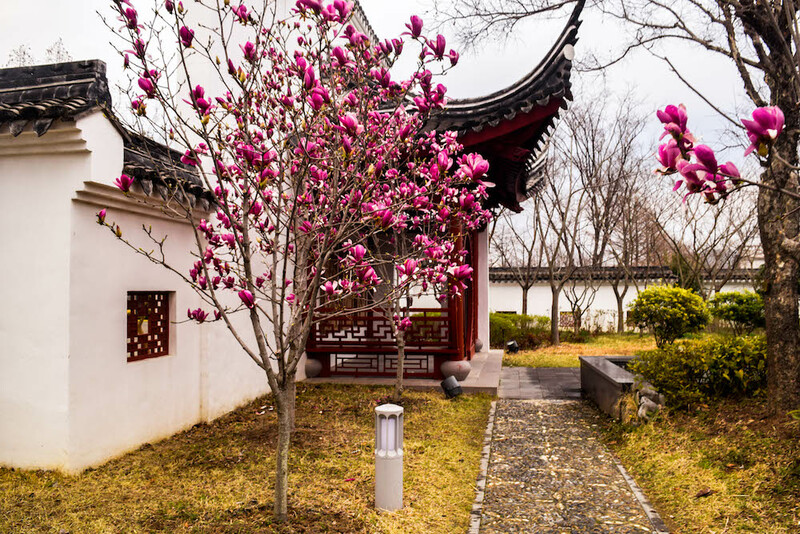 Experience the traditional gardens of many countries, such as various European gardens, American gardens, but also Japanese and Chinese gardens. 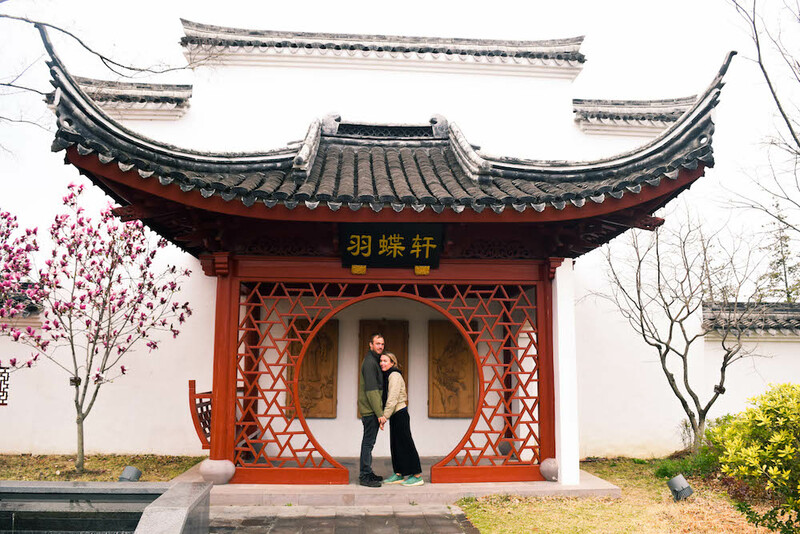 The Chinese garden is one of the most popular gardens at Suncheon Bay Garden. 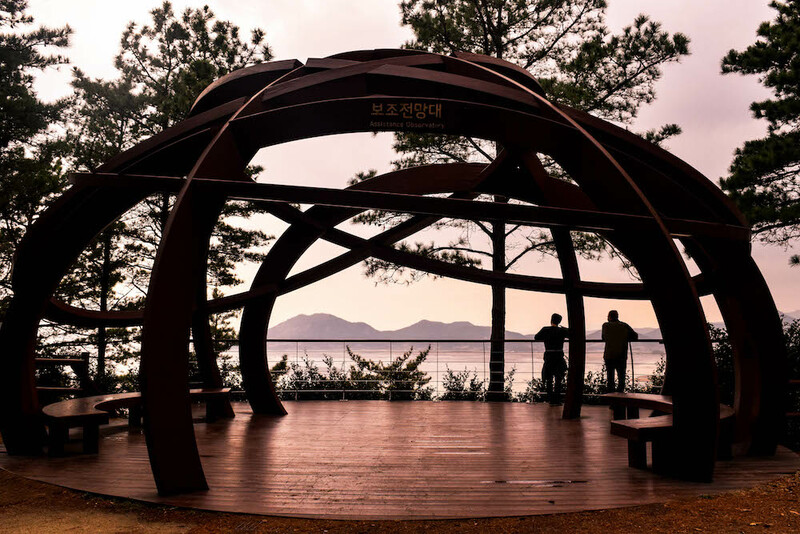 Another popular and cool part of Suncheon Bay National Garden is the centerpiece of the bay garden: Suncheon Lake Garden, designed by American landscape designer Charles Jencks. Suncheon Lake Garden is an artificial lake with six hills and there is a pathway that you can follow. At the center of the lake, you have a panoramic view. The Bridge of Dreams is an artwork made from 30 abandoned and recycled cargo containes that displays 140.000 tiles with all sorts of drawings. These drawings are made by 140.000 children from 16 different countries and show the hopes and aspirations of the little artists. The bridge connects the two areas of the 2012 Expo in Yeosu. Between 4.000 – 8.000 won. The admission ticket to Suncheon Bay Wetland also includes Suncheon Bay Garden. Next to Suncheon Bay National Garden you can find Suncheon Bay Wetland Reserve. It’s easy to combine the two in one day and the ticket to Suncheon Bay Wetland also includes Suncheon Bay Garden. 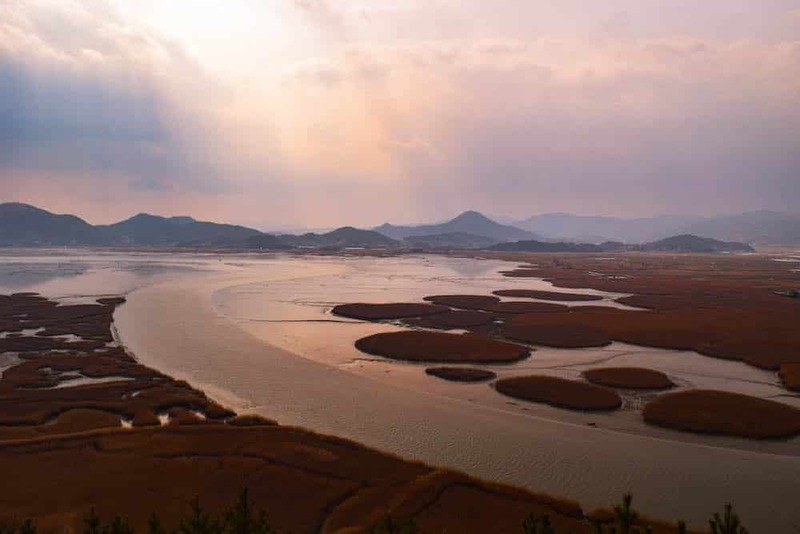 The incredible wetlands of Suncheon Bay Wetland Reserve are home to the largest colony of reeds in Korea. Suncheon Bay Wetland Reserve is also perfect if you’re into birdwatching, since there are over 140 bird species in the area. If you follow the pathways you will find an observation deck where you can enjoy the gorgeous views. The hike is very doable and is worth it (just look at that view!). Suncheon is definitely worth a visit! Especially because of Suncheon Bay National Garden and Suncheonman Bay Wetland Reserve. If you have any questions, feel free to leave a comment below!